As you begin reading this page...We know exactly what your thinking and why your here. With so many feather styles to choose from, deciding on a particaular style can be a surprising difficult task, especially if you have never purchased feathers before. The Options are Many and although not set in stone, some feathers work better for different uses. So...as an added help. We have tried to give you a good overview below of what to expect when your feathers arrive & ideas on how they are used most often by our customers. Of course, if we could answer this question for you, deciding which feather style to use for your project or event would be a synch. Fortunately, there are many choices and options to choose from and this page should help you decide on the perfect feather for your particular project or event! Although we have described the most often way a particular feather is used, these descriptions are not all inclusive so don't hesitate to make it personal and use your own ideas! 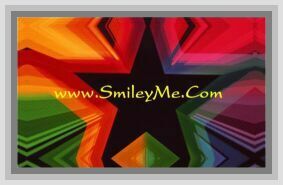 If You come up with something really unique and different, please send us a picture & maybe we will include it in a future webpage showing your beautiful creation made with SmileyMe Feathers. Turkey Plumage Feathers are a Customer Favorite Particularly for Schools or Anyone Needing a Nice Quality Feather with a Slight Curl. Turkey Plumage have that Well Know Flat Top Plus Guarantee a Good amount of fluff along most of the feather stem. Perfect for Lots of Projects...to Numerous to Mention. Turkey Marabou Feathers come in both the large and small sizes. The Small Version are Often orderd by brides to be used instead of rice for the traditional rice throw...While the Larger Version of Turkey Marabou are Usually Bought for their fluffy appearance & because of their adaptability for commercial craft projects. Turkey Flats Feathers Exactly the Same as the Turkey Plumage Except that they are Longer Averaging 4-6" Long. These also have a Completely flat profile with absolutely no curling whatsoever. Can be Used for all types of craft projects and Turkey Flats are a particular favorite for School Classrooms. Goose Biots Feathers are a thin Narrow feather that crafter love because of the flexible stem. When you wrap these around wire, the fronds fan out to produce a surprisingly pine Needle like design. Goose Biots are most often used for making old fashioned christmas trees, a tradition that stetches back for generations and make a nice addition to any flower bouquet for that added splash of contrasting color. Goose Satinettes Feathers are Beautiful Quill-like Feathers with a Satiny Smooth Sheen. Getting their Namesake from Satin, these really are Satin Like in Look and Feel. Most often Used for Childrens Angel Wings and perfect for any school project, or Wedding Accent, Goose Satinettes average in size from 4-6" long x 1" wide making them the perfect softer version mini quill feather. Goose Coquille Feathers are the feathers that bear a nice curled effect & when placed together can almost resemble a birds nest in shape. These are a good choice if your plan is to add a layer of fluff to a prom room floor or have children glue them on paper to form a 3-D christmas tree... Goose Coquilles Feathers! Peacock Feathers are of course, most often used in vases as business or home decorations but can also be used in jewelry making and wedding centerpieces too. Peacock Feathers are Available in several sizes and if you haven't seen the stem dyed styles, you are missing out as these are a gorgeous alternative to the natural stems. Rooster Plumage Feathers When Your Looking for a Nicely Shaped Feather for Clothing or Jewelry Projects...Rooster Plumage are a Good Choice. Average Size is About 2" by 3/4" Wide & Boast of a Nice Amount of Fluff with a Naturally Rounded Tip. These are Also Often Used on Wedding Invitations or Homemade Cards Because of Their Neat, Feathery Shape. Rooster Guinea Feathers Another Plumage Feather but With the Coolest All Natural Polka Dot Design. Dyed in a Multitude of Colors...These are Most Often Used for Party Deco & Guinea Feather Earrings. Rooster Hackles Feathers Have an almost see thru appearance most often used for fly fishing lures. For other craft projects, Rooster Hackles give that added touch of something different. Eagle Feathers or Turkey Quill Feathers These are the feathers you often see being used for quill pens or adorning the indian chief headdresses, in days of old, and often partially dyed to look like Real Eagle Feathers. If your project involves the creation of adult angel wings...then these are the obvious choice. Turkey Quills are Sturdy by Nature & Average Size is 10-12" Long x 2" Wide. Duck Cosse Feathers The Absolute Smallest & Cutest Quill Type Feather Available, Averaging 2-3" Long x 1/2" Wide. Often Used in Angel Wings for Dolls & Other Mini Type Crafts Where Little Goes Over Big. Duck Cosse have a Good Firm Stem & Hold Up Well Under Normal Use. Duck Pointers Feathers are a Feather that has Seen it's Day but May No Longer be Available in the future due to the Timing Needed to Process Them. Duck Pointers are Different then Turkey Quills in that they are Thinner (Approx 1" Wide) and More Pointed at the tip. Ostrich Plumes Feathers in past days were the adorment of fancy hats for wealthy ladies but today have taken on a new role as the highlight of wedding reception decorating across the globe. Once a bride has grasped the awesomeness of these feathers as an alternative to the traditional flower centerpieces, it is hard to decide on anything else. Ostrich Plumes are currently available in Femina or Drabs as shown below. Ostrich Femina Feathers are the largest of the ostrich feathers and can be used as just a few in a vase or as a super large palm tree like centerpiece that will make your wedding the event to remember. Ostrich Feather wedding centerpieces are over the top! Ostrich Drabs Feathers are currently the most popular of the Ostrich Feathers because these will make the roundish flower like centerpieces shown on the website. Offered in many different colors and several sizes make them a good choice for desiging that perfect party accent for your event. For More Feather Design Ideas...Check Out Our Tips Page Which Also Includes Information on Dyeing, Custom Shaping, Preserving & Caring for Your Feathers too. Coming Soon!